Community Spotlight is a regular feature which highlights amazing fan projects in the Remedy community. For 2018 we're switching things up a little with each month having its own spotlighted fan and fan project. 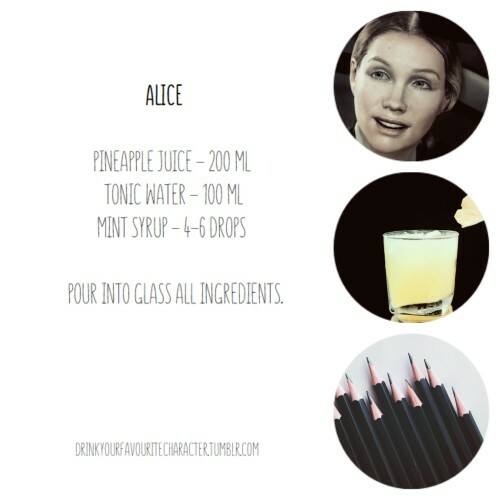 This month I'm excited to talk to Kate about her Tumblr blog dedicated to geeky drinks, drinkyourfavouritecharacter! 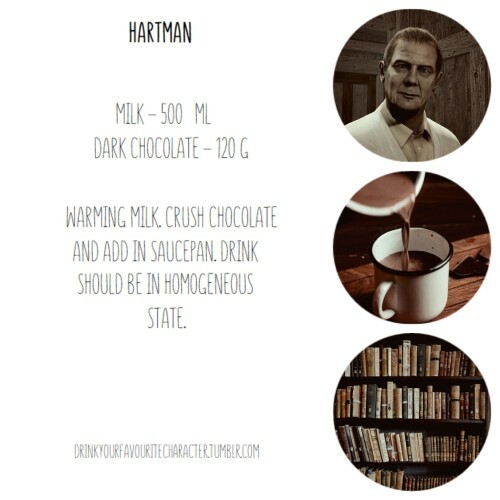 If you're an active member of Tumblr you may have noticed that, over the past few weeks, drinkyourfavouritecharacter's unique Alan Wake-themed concoctions have been pouring into the game's tag on Tumblr. The blog is an interesting concept which uses games, shows and characters as inspiration to make a variety of different beverages. The recipes feel authentic to the character's they're based on, using the character's backstory, attitudes or behaviours to influence the ingredients. The site is run by the lovely Kate, a twenty-two year old gamer from Russia who uses the site to channel her geeky interests and favourite games and shows. I first heard about the blog slightly before their Alan Wake content through Katerina (@SeaCat2401) who discovered the site from their Layers of Fear posts. Katerina shared the recipes on Twitter and Discord, and hoped that the blog would cover the Alan Wake characters next. I don't know if the two ever spoke, or if it was just a wonderful coincidence but shortly after that the game was selected to be the new focus for a wide selection of themed drinks. At first the main characters were spotlighted on the drinkyourfavouritecharacter blog, but were soon followed by some of the community-favourite characters, providing a wonderful surprise to followers and Remedy fans. There's a variety of alcoholic and non-alcoholic drinks providing options, depending on your preference. Personally the Hartman (hot chocolate) and Rose (banana and coffee smoothie) beverages are something that I'm definitely interested in trying. And while there's plenty of alcoholic recipes, even if you don't drink, the each recipe can still be appreciated for their connections to the characters and for the presentation of the instructions. Each post is beautifully illustrated with circular photos and a clear description of how to prepare the drinks. The style and presentation of the recipes varies with each project but this layout is a personal favourite. It's obvious from the start the amount of work and passion that Kate puts into her blog and the Alan Wake posts. 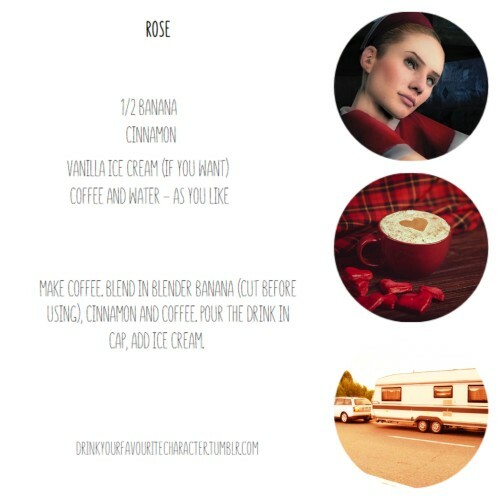 If you want to try some of the Alan Wake drinks or interested in seeing the full collection, visit HERE for all her recipes! My name is Kate, I'm 22 years old, and I live in Russia. I'm in love with fandoms and in concept of fandoms. Many people unite with each other, create something beautiful and make contacts. It's inspires me. Your blog is a really interesting concept, how did you come up with the idea? I created blog when season of Games of Thrones were showed. It seems, it was the sixth season. :) I saw many cocktail recipes dedicated to series and thought: "Why only GoT?". When Harry Potter ended, I saw many posts about it, including recipes. I remembered this situation and I was sure, that can find recipes with other fandoms. And if I can't find them, I will create. Also it helps me to improve my English. How do you decide which flavours or drinks best suit which characters? Oh, that's really interesting question. I look at the character (usually screenshots and concept arts) and reflect on him/her: their appearance, behaviour, colors, own associations. For example: Andersons are absolutely mad, and cocktail should be like this, that why I chose a mix of vodka and beer. It quickly intoxicates, but in the morning you feel terrible; this corresponds to spirit of old rockers. Cynthia [Weaver] carries a light, and so her cocktail should be light, white. Alan's stories are like shooting (I mean, full of action), and the bubbles of champagne create the effect of shooting in the mouth. How were you introduced to Alan Wake, and what drew you to make a series of drinks inspired by Alan Wake? Anonymous asked me to make Alan Wake recipes. :) I watched Lets Play (I'm not good in gaming and play [for] very long. For understanding plot, characters and locations I prefer to watch, and see other gamers play). What games/drinks are you planning to feature next on your site? I wanna make Outlast [drinks]. I like this game. :) I'm also planning to make Life is Strange; I hope, Tumblr users will appreciate them. And I will find recipes that other people do and translate them into Russian. Thanks for your time, Kate!